B: Tonight I will dream about Indiana Jones eating an Air Head! 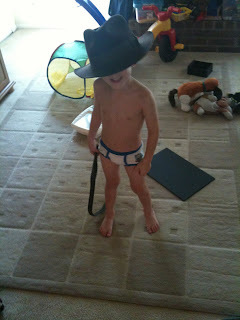 B playing Indiana Jones. This was all him. Clickie for biggie. B: I'm going to take off all my clothes and put on my swimming suit! B: So I can go swimming! Me: Where are you going to go swimming? B: In the back yard! After he got his suit on I followed him out there. 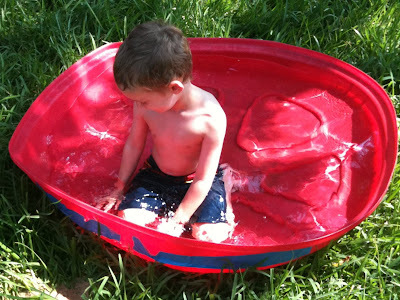 He had the hose in the lid of his sandbox and asked me to turn it on for him. He filled it up and hopped in.